Don’t you just love taking care of pets? I do, but when it’s time to give them a bath, they just don’t want to. And how do you give them a bath while holding the hose with one hand and washing the dog with another? 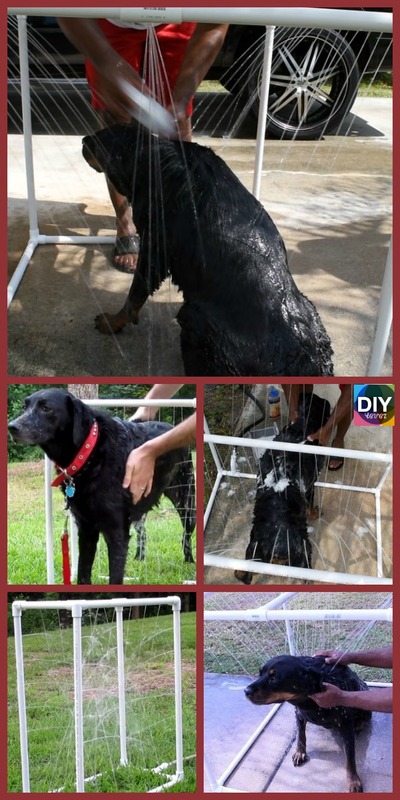 So today, we will be showing you a quick and simple self standing DIY PVC Dog Washer. Let’s get started and learn how to make this. All you need to do to find the free tutorial for this is click on the link below. Then, you can start building! With a bit of effort and time, soon, you will have this great design that will benefit you in many ways! Enjoy, and watch out for more great posts like this! You might also like :How to DIY Dog Food Station with Storage.